A. J. McCarron's girlfriend, Katherine Webb, has been a bit nervous about going to the Iron Bowl for the first time at Auburn. Webb is viewed by many Auburn fans as a bit of a traitor, because she is an Auburn graduate and supports AJ & the Tide. "This is the first actual game, Iron Bowl, that I will be attending," she told USA TODAY Sports last week. "I don't know what to expect and I'm really nervous." "Even in my experience at Auburn, it's been very, very rare to see fans that have been rude or anything like that." Will anything happen to her? Doubtful. Even if Brent Musburger is not covering the game with full-out video surveillance between plays of her every move, the likelihood of Auburn fans harming her is very slim. I think there will be too many tears in their eyes as Bama pounds them for another Iron Bowl victory! Katherine just needs to smile her southern smile and enjoy the game. She will be fine. One of the most stupid, arrogant, self centered, ignorant, elitist and snobby things I have ever read in my life. What, are the masses of ignorant peasants at the football game so frightful and unruly that he’s concerned that they might lose all control and savagely beat her to death or something? Are the “common folk” so stupid and crazy that they just can’t control themselves? Maybe they are SO much better than all of us lowly peasant people and they deserve special treatment and protection…. GIVE ME A BREAK. If you’ve ever been to an Auburn home game, then you would know that it’s a family atmosphere for the most part and that the stadium is full of little kids, old people, the entire range and scope of people in our society. Yes there are a lot of college kids there (It is a college campus) but it’s not like you’re going down to the local biker bar on a Saturday night while you’re wearing their rival’s colors or anything. The worst thing that could happen to her is that she might meet a guy who isn’t a total douche bag for a change. Maybe she might meet a bigger douche, or get hit on a lot by guys that don’t know any better, but to be concerned for her freaking safety?!?! These people have obviously lost touch with reality, either that or they 100% believe that they are just special and so much better that everyone else that she would be accosted just because she is who she is and you know how us crazy AU fans are, we might just say “War Eagle!” or something just as frightening. How did this ever get to be a freakin’ story anyway?!? Oh give me a break! The Auburn fans are not the crazed ones who do crap like that! It was Bama fans who poisoned trees, teabagged opposing team fan, etc. War Eagle! Give me a break Auburn. You are the ones that turned the sprinklers on the Georgia fans on a cold November night. Women and children celebrating their team’s big win get the water hoses turned on them when they don’t leave fast enough to your liking. No douchebaggery there. OMG!!! I don’t think Auburn fans are going to care less if she is at the game!! Let’s remember..Alabama fans love football..Auburn fans love AUBURN.. 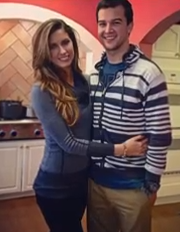 When AJ is finished at Alabama…people will totally forget about him…reason being is that he is too small for the NFL….and little Miss Katherine Webb will move on to bigger and better things!! WAR EAGLE! This is ludicrous. She’s not the POTUS. Come on, girl. It’s a football game! War Eagle! Class of 2000 alum!